This post on the best ways to increase metabolism naturally is sponsored by iHerb, but I only recommend products and services that I have personally tried and believe are of value to my readers. All opinions in this post are my own. Finding the right foods or supplements to increase metabolism can be a game changer in your weight loss journey. However, boosting your metabolism may not happen in the way that you think. Getting to the root of endocrine and hormonal issues may actually have a lot more to do with your ability to burn fat than previously thought. Are we looking at metabolism all wrong? just luck. Although genetics do play a role in body composition, metabolism can be changed and affected by a host of different things. Your metabolism is actually the process by which your body converts calories into energy. A properly working metabolism not only supports a healthy weight, but also affects many of your body’s processes like supporting the immune system, endocrine system, fertility and the brain. It is possible to improve your metabolism with a healthy lifestyle. It certainly helps to eat a healthy diet, eat regular meals (no skipping meals or major calorie restriction–this actually hurts your metabolism), get good sleep, lower stress and get moderate exercise regularly (over-exercising can hurt your metabolism just as much under-exercising). If you have your diet, lifestyle and exercise under control, but you still feel like your metabolism is lacking, it may be your hormones! If any part of your endocrine system (which includes your thyroid and adrenal glands and helps to regulate hormones) is out of whack, it affects your metabolism. Having healthy hormones will do more for your metabolism than exercising a bunch or restricting calories (in fact, restricting calories too much and yo-yo dieting can actually damage your metabolism). That is why so many people complain that they are doing everything right with their diet and exercise, yet still can’t seem to lose weight. This is one of the most common signs of a hormone imbalance. 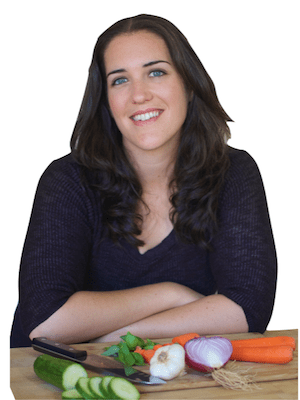 How do you know if your hormones and metabolism are out of whack? If endocrine and hormonal dysregulation is a major factor in throwing off your metabolism, then the first thing you need to do to increase metabolism is work on regulating your hormones. Getting lots of sleep, lowering stress and eating well are a big part of regulating hormones, but certain foods and supplements can help too. The supplements below are my top picks that help support the endocrine system which then help to support and increase metabolism. As always, be sure to consult with a medical professional before starting any new supplement regimens. I often get my natural health supplies from iHerb. They have a huge selection of quality vitamins, herbs and supplements as well as cooking, health and nutrition supplies. They carry over 35,000 products that can be shipped to over 160 countries. Everything is offered at a really affordable price. Plus shipping is free for any order over $20 and anytime I order from iHerb my order always comes really fast… like usually within a couple days. I LOVE fast and free shipping…I’m so impatient when it comes to my supplements and nutrition supplies. iHerb‘s Customer Service team provides support in 10 different languages! Awesome! Get A Discount On Your iHerb Order! 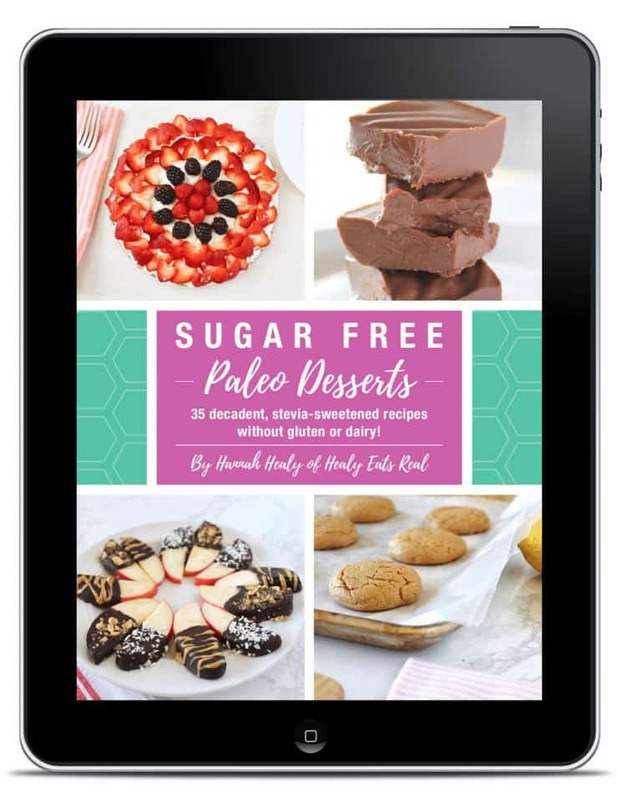 All of the foods and supplements mentioned in this post are available from iHerb. You can get a discount on all of your supplies when you order with the link below. So make sure you stock up on your coconut oil, maca and supplements! 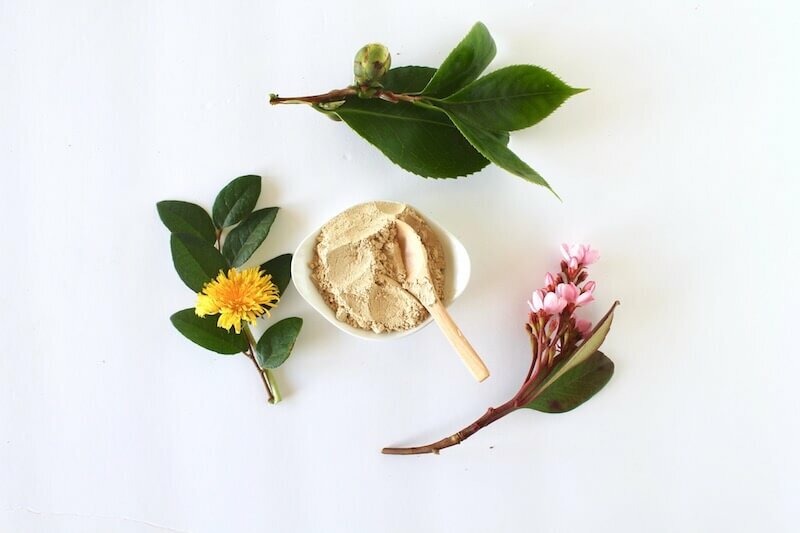 Ashwaganda is a traditional Indian herb that has been used within ayurvedic medicine for thousands of years. It is very similar to Chinese ginseng. Ashwaganda is an adaptogen, which is a specific class of herbs that uniquely help your body adapt to different stressors and achieve balance. Stress is more than just a modern day annoyance– it can have detrimental effects on your health by weakening your immune system, disrupting sleep, raising cortisol (the stress hormone) and taxing your endocrine system. Studies have shown that elevated cortisol has been associated with weight gain and increased abdominal fat. Chronic stress can also contribute to adrenal fatigue and thyroid dysregulation which brings on weight gain and a lowered metabolism. 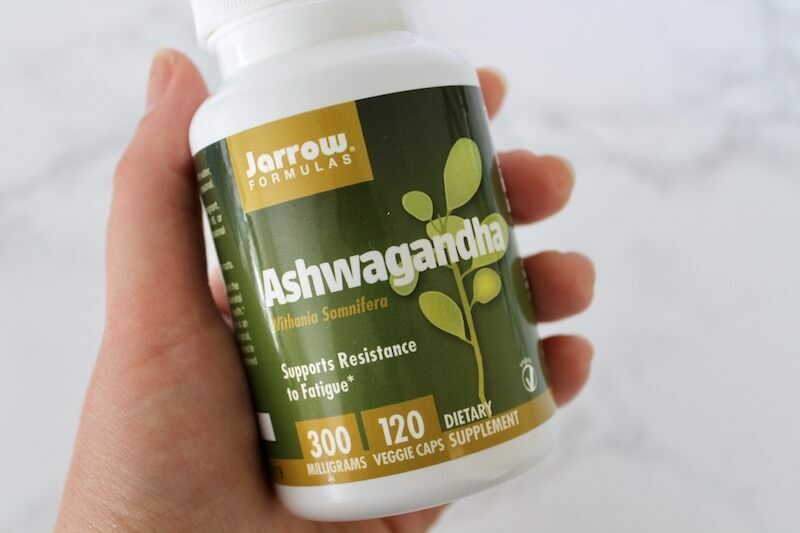 I love ashwaganda for helping to regulate stress, combat fatigue and boost energy which thereby supports the endocrine system and metabolism. One double-blind, placebo-control study found that ashwaganda was able to significantly lower the stress hormone cortisol while elevating DHEA, which creates a healthy response to stress. Click here to get a discount on quality ashwaganda with iHerb. Maca traditionally comes from a root in Peru and other areas of South America. It looks sort of like a radish, but it is in the crucifer family of vegetables just like brussels sprouts and broccoli. 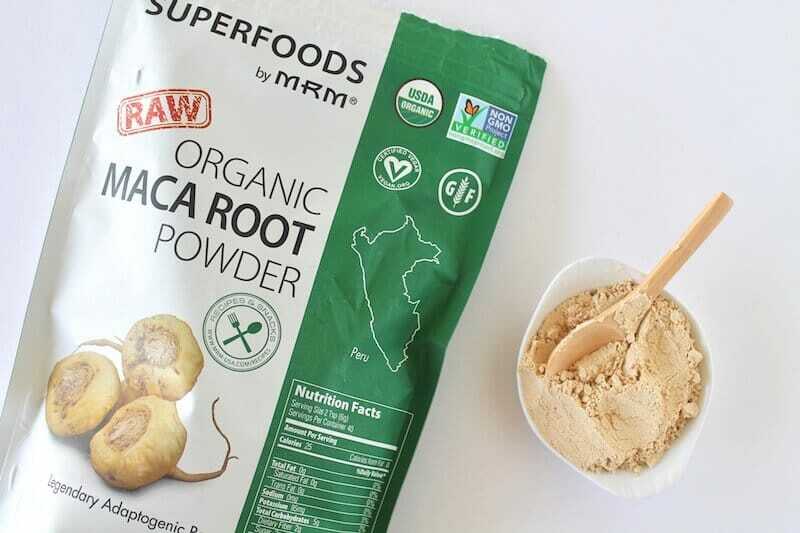 The great thing about maca is that it has sort of a nutty flavor, so you can buy it in powder form and add it to foods. I like to use it in smoothies, truffles, energy balls or baked goods. It pairs well with chocolate! Maca is an adaptogen and helps support a healthy response to stress. It has been shown to support hormone balancing as well. 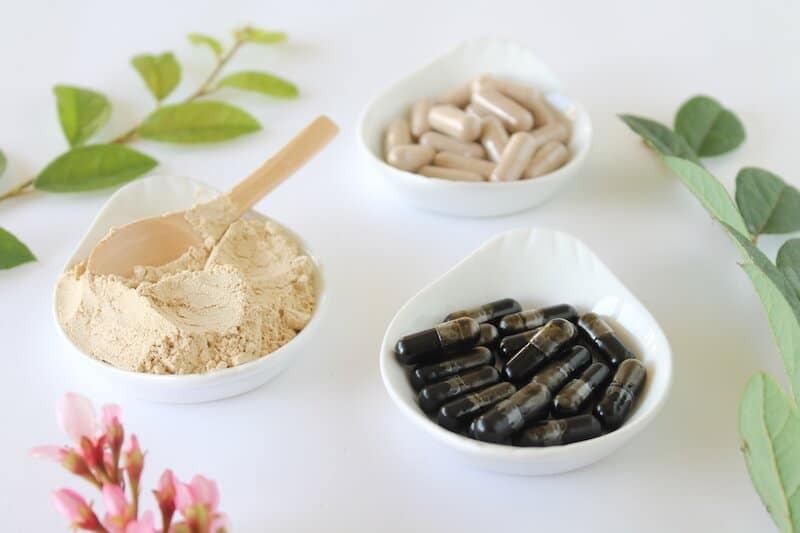 One study from 2006 found that women who took maca for 3-4 months had fewer menopausal symptoms such as hot flashes, fatigue, mood swings and sleeping issues when compared to the placebo group. I myself have taken maca before to support my hormones and energy and it always is very quick and effective for me. Many people find results when they take maca daily for three months, then stop for one or two weeks, and continue alternating. Be sure to talk with a health professional before starting new supplements especially if you are taking medication. Maca may affect the thyroid so people who are taking thyroid medication should talk to their doctor first. Click here to get a discount on quality maca with iHerb. 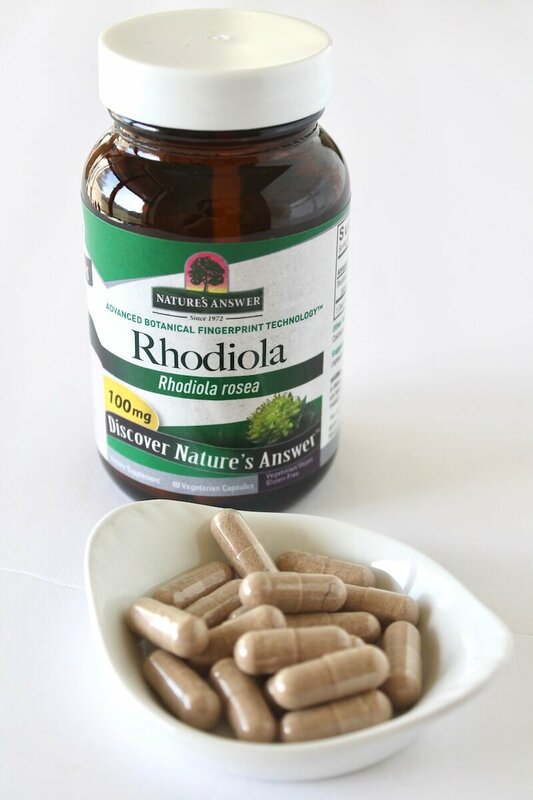 Rhodiola is an herb that grows natively in high altitudes in Asia and Europe. It has been used for centuries as a medicinal root in Russia. Like ashwaganda, rhodiola also helps support a healthy response to stress. Although stress is so common nowadays, that doesn’t change the fact that it negatively affects health in a number of ways. One major way that stress endangers health is by chronically raising the stress hormone cortisol which can lead to weight gain, fatigue and a decreased metabolism. Along with helping with stress, rhodiola may also support good moods, maintain healthy thyroid function and promote energy. 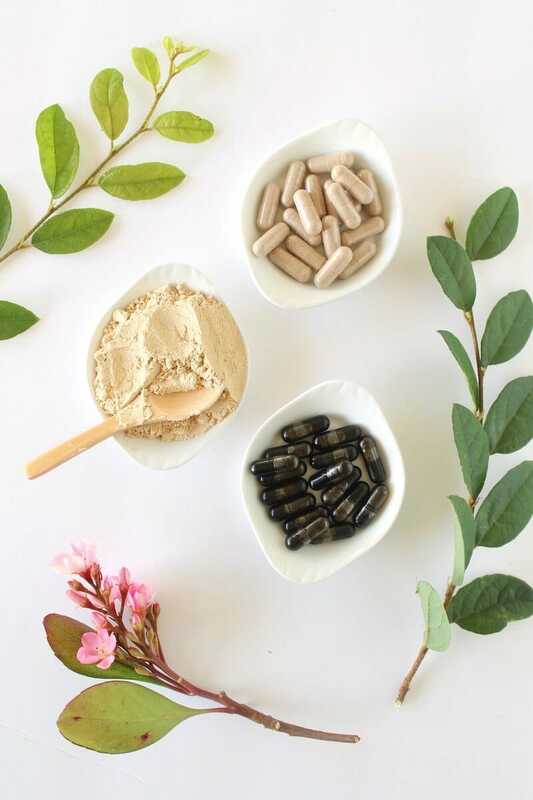 Be sure to stick with rhodiola rosea, which is the form that has been most extensively studied and tested for its effectiveness. Click here to get a discount on quality rhodiola with iHerb. You might be surprised to see a saturated fat on this list because unfortunately, the inaccurate myth that dietary fat makes you fat is still pervasive in our society. Many people think they should completely avoid saturated fats, but this couldn’t be further from the truth. Moderate amounts of saturated fats are crucial for optimal health. Most fats (like olive oil) contain long-chain triglycerides. Coconut oil is unique in that it contains a type of fatty acid called medium-chain triglycerides (MCTs). These medium-chain triglycerides behave differently in the body than other fats which enables them to metabolize faster. 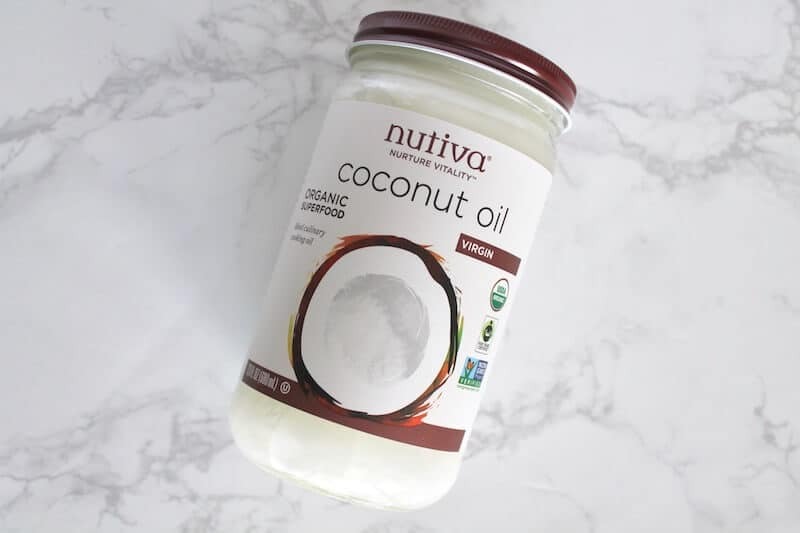 Coconut oil is thermogenic, meaning that it increases fat burning and allows you to burn more calories than you would with eating other fats like olive oil (but that doesn’t mean olive oil isn’t good to eat too!). Coconut oil, when compared to other fats, has shown to increase feelings of fullness as well. Studies have shown that coconut oil has decreased belly fat, reduced appetite and increased metabolism. So when you’re adding fat to your food or using cooking oil, try to swap some of it for coconut oil to support your metabolism. Virgin coconut oil is best but will lend a coconutty flavor to food which is great for smoothies or baked goods. If you’re cooking a savory dish and don’t want the coconut flavor, opt for refined coconut oil which will still give you the benefits without the flavor. Click here to get a discount on quality coconut oil with iHerb. 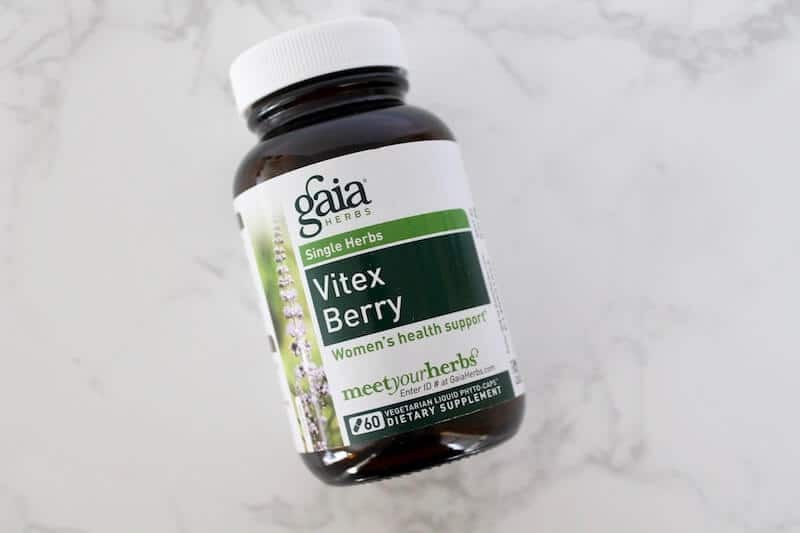 Vitex agnus-castus, which is also commonly known as chasteberry, is an herb that has been used for many years for women’s health. Some say it’s the most important herb for women today. Chasteberry was even written about in ancient Greece for its health properties. Vitex promotes hormone balance by supporting the hypothalamus and pituitary glands and may help normalize progesterone and estrogen levels. Supporting hormone balance can affect your metabolism and ability to lose weight. Another bonus is that studies have shown that vitex may help with PMS symptoms while promoting healthy menstruation and ovulation. Vitex is good for long-term results. Some people may not notice changes until they have taken it daily for 2-6 months. Click here to get a discount on quality vitex with iHerb. Don’t Forget Your iHerb Discount! If you are ready to stock up on some new foods or supplements to help increase metabolism, make sure you get them at iHerb! New or current customers can get a discount off of their order. Click here to get a discount on your iHerb order! Such interesting information, thanks! I actually have a lot of those symptoms you listed, so I need to look into this! These are all such wonderful ideas for increasing your metabolism! We’re hitting the gym hard right now, so these are great suggestions for us! Thanks for sharing! I have been needing to revamp my metabolism! I have put on a bit of weight over the holiday. Thanks for the great advice. I bet a lot of people love this post! It has some great info in here! ahh, it seems that hormones are behind everything! Good to know we can boost it with a little help! I love how informative this post is, there is a lot here I did not know about. This is definitely a keeper because I need to increase my metabolism. Thanks for this interesting article. Unfortunately, I cannot find some of these products in Argentina. 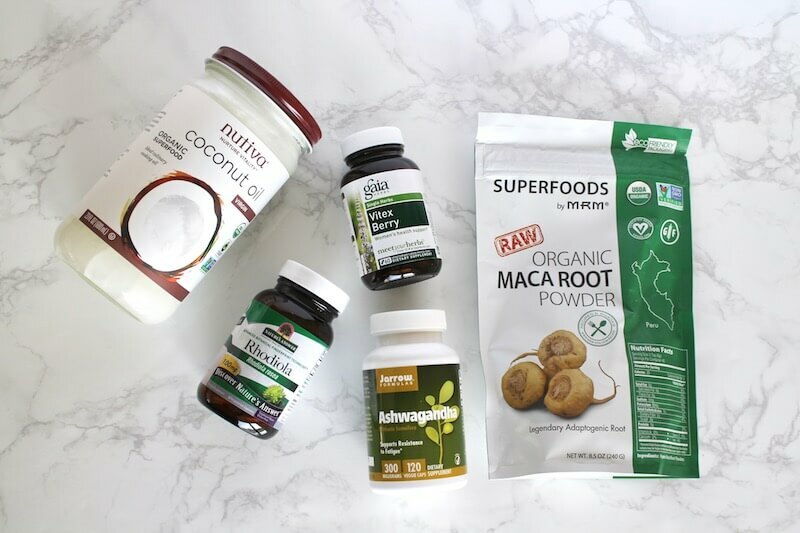 I have a low thyroid and was told that taking maca root is not good for this condition. But I also read maca root benefits hormone balance. What do you think? I think working with a naturopath would be your best bet. Your supplement needs can be very unique depending on your issues and test results. Wishing you the best!